As wedding season comes into full force, many brides-to-be and members of the bridal party will have been frantically making last minute preparations for the big day. But what if you’ve forgotten to take time to pamper yourself in order to look your best for those all-important wedding photos? 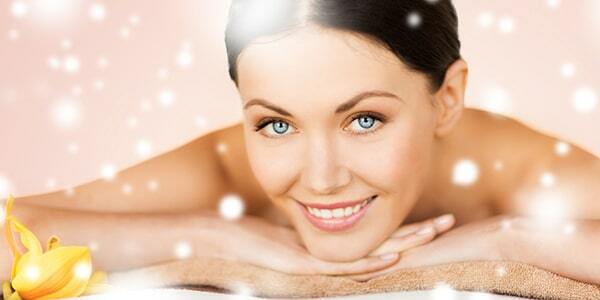 From dull complexions to dreaded bloating, The Clinic has the solution to many of your last minute beauty dilemmas. So, whether you’re the bride-to-be like Kim Kardashian, or preparing to play a prominent role as mother of the bride or bridesmaid, The Clinic has exactly what you need. Spring is here and with it brings a whole new seasonal trend of skirts and dresses which means it’s time to brave the Northern Irish elements and dare to bare those legs. Going bare legged this Spring and Summer doesn’t have to be daunting. The Clinic is here to help you step out in style and be confident with perfect pins for the warmer seasons ahead. The Clinic offers a range of non-surgical treatments and procedures that can help ensure you have legs that look fabulous in the latest spring fashions, whether it’s a smart shift dress or fun and flirty shorts. It’s no longer just women who hog the bathroom, more and more men are starting to take their grooming routine seriously. It’s out with the traditional shave, splash of Old Spice and slick of hair wax and in with a proper skincare routine, regular waxing, manicures, facials and much more. With the most romantic day of the year just around the corner it is time to make sure you’re looking sweet for that special person in your life. With a fabulous range of non-surgical and non-intrusive treatments, The Clinic really can help ensure your lips are looking luscious and your skin is supple and glowing this Valentine’s Day. Celebrities such as Naomi Watts are certainly feeling the love and looking radiant as a result. Following her engagement to her long-time love Liev Schreiber she is embracing the look of love this Valentine’s Day. After excessive indulgence during the festive season it’s easy to be left feeling a little less than glamorous in the New Year. With the usual list of resolutions to achieve a polished and perfected look for 2014, The Clinic is on hand to help you achieve the New Year, New You look. It’s time to embrace another year with open arms. Give your whole body a boost with the help of one of the highly trained therapists at The Clinic. Whether it’s lumpy legs, lack-lustre lips or dull skin that you want to tackle, The Clinic has a range of straightforward, non-surgical and non-invasive treatments that will help you to become body beautiful and full of confidence as 2014 commences. Don’t shy away from the mistletoe this Christmas! The Clinic has everything you need for the most kissable lips and pretty party complexion this season. The perfect pout and a radiant glow is something we all lust after, especially with the cold weather threatening the condition of our skin among the many other factors that take their toll. With stars such as Holly Willoughby (pictured) it is easy to see the positive effects of great lips and a youthful, line-free face. Party season is just around the corner and while for some it may conjure up happy thoughts of merriment and fun, for many women party season brings added stress not only on their bank balance, but also on their bodies as they strive for perfection. Christmas is the season that we are constantly placed in front of the camera and no-one wants to look back and feel embarrassed about how they looked during the most celebrated time of the year. The days are getting shorter, the nights are getting longer, there’s a cool chill in the air and you’ve replaced your morning cereal with a piping hot bowl of porridge: Autumn is most definitely here. Now the sun is hiding and our skin is crying out for Vitamin D, but don’t let the change in seasons to the dull winter months display itself on your face. It’s no secret that changes in weather can lead to a change in skin; from the healthy summer glow to the dulled winter complexion and it’s something a lot of women struggle to tackle. Never fear, as there is always a solution, and The Clinic on Belfast’s very own Lisburn Road, can help. You don’t need to go under the knife to rejuvenate your skin, so for a complexion to match Heidi Klum’s, just pop into The Clinic and consult a therapist who can advise you on their range of non-surgical, non-invasive treatments. It’s finally here! We thought it would never come, but Summer has finally arrived and we’ve never been happier to see it. It’s at this time of year that some lucky folk jet off to exotic places whilst the others stay to soak up the local sun. Either way, regardless of location, it’s also the time of year when our body insecurities come to the fore as summer t-shirts and shorts come out of storage and into our summer wardrobe. The unseasonal snow in March and unanticipated heat wave in June has left us with high hopes of more sun for the coming months, but for many women the thought of facing the warmer weather in a pair of shorts is nothing short of a nightmare. We’re constantly bombarded with images of celebrities like Miranda Kerr and Cameron Diaz with their flawless figures and enviable pins which only help to feed our insecurities. Summer is a season that often creeps up on us and appears out of nowhere; not that we’re complaining after a long winter! However nice the weather though, there is always that niggling feeling in the back of our minds that has us worried about bearing all in the sun, whether you’re going all out in a bikini abroad like Mum of one, Dannii Minogue, or just making the most of the local sun in a t-shirt and shorts. Never fear, at The Clinic on the Lisburn Road there is a range of the latest and most advanced non-surgical cosmetic treatments on offer to help you get summer-ready. These non-invasive procedures can help deliver real results without going under the surgeon’s knife. However, it is recommended you consult a therapist as early as possible, as a series of treatments over time will deliver the best results.